My drive and ambition drove away about a year ago. A tragedy that struck our family sort of sucked the life out of me. But that which does not kill us, makes us stronger, right? Or, I keep hearing lately that we are always either entering a valley, in a valley, or coming out of a valley. Others describe it as up and down mountains. Well, I live in the mountains and going up and down the steep ones make my ears pop and give me a headache!! So what of all this? Why are we here? Well, we are here to learn about and share God's love. Even in a crisis we are called to share love and forgive "our trespassers". Walt Disney said it best in Meet the Robinsons, "Keep moving forward". 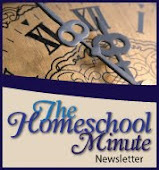 So I 'accidentally' discover this link to a Homeschooling Blog Carnival. 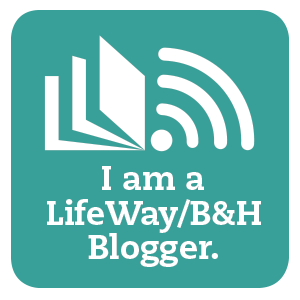 "What is a blog carnival?" I ask myself. I start reading various entries... thinking I am just humoring the authors. But the more I read, the more I am drawn in. These people have the same challenges and trials I do! Rough days, kids that resist a subject, successes, failures, critics, and cheerleaders. How naive.... I thought it was just me! But the proverbial, 'icing on the cake' was a blog where one mom set down a list of a highly successful day she was proud to report. Oh how I missed those days. See, I am a list maker. I pride myself in simple accomplishments like folding laundry and vacuuming the stairs (a tedious task to be sure). I have let that go and given into the Divine laziness that I have chided other mothers for. Not that I think everyone should be "perfect" just that everyone should do their part. I had let my steam go out of my engine. I had quit doing my part. Why? Because I let trouble get me down. Wherever we go trouble can find us. It is up to us to banish it each time. A favorite saying I have on the side of my fridge states, "When the devil comes knocking just say, 'Jesus, would you get that for me'" Amen to that! So here I start my adventure, or rather reclaim my ground, with this realm of blogging. There is much work to be done inside and outside this body of mine. I pray all those who decide to follow along will be empowered by my adventures as mom, homeschooler, wife, and member of the human race.